Customer satisfaction surveys need to break down the result to a level where you can see what is causing good or bad scores, otherwise it isn’t actionable and you can’t drive change. That’s just the starting point though. For a voice of customer solution to truly make a difference it needs to become an integrated part of the business, chipping away at bad processes and behaviour on a daily basis. It needs to automatically flag things that need to be addressed as well as spot higher level emerging trends that can damage your NPS scores and subsequently customer retention, sales and eventually bottom line. 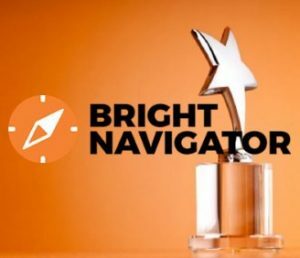 Below we explain how Bright Navigator addresses the criteria, creating self-improving organisations for our clients. Bright Navigator is an automated customer satisfaction platform for companies with a high level of customer contacts. It measures continuously; providing real time insight into what customers think and why. This data is broken down by product, customer type, staff member or channel. It gets to the bottom of customer gripes and provides the evidence to make change, including 360° feedback in Operations. Here we include automatic feedback to front-line staff on how their particular customers have responded in comparison to their team, create balanced scorecards for them and save time for team leaders with smart tools such as correlation analysis and 1-2-1 meeting functions (automatically populated with VOC results). This on its own results in major improvements for clients, on average over 20% increase in very satisfied customers, but that’s just the start. Productivity metrics are mixed with C-SAT metrics creating an all in one performance management solution. Automatic conversion of customer verbatim into text & sentiment analysis. Automatic email notification to teams & external departments based on verbatim content & customer scores. Sessions with our senior consultants presenting findings from data deep dives and recommendations for the next quarter. Making your team leaders more efficient and reducing the need for Quality Assurance teams. With the ever-increasing shift towards self-service online, our clients need full visibility of their customer experience in this channel. Even for non e-commerce sites there are normally millions of pounds of savings through driving down failure demand. Bright will help you create surveys such as the examples below for websites and social media. The results are integrated real-time with scores for contact centres, branches, field staff etc., creating a holistic view of your entire customer journey. Thank you for being a customer. Please help us improve our services to you by completing this survey. The entire survey will take approximately 1 minute to complete. 2. How likely are you to recommend our website to a friend or colleague? 4. When contacting suppliers, do you go to their website first? 6. Was there anything we could have done better? Using customer verbatim, particularly as sound files is very effective in driving good behaviour and stopping bad. But what about the areas outside of customer service? And what about spotting emerging problems? Common themes amongst Net Promoters and Net Detractors. Emerging trends amongst customer comments. Read more about the Bright Navigator functions in this brochure online. In addition to the many awards our clients have won working with us, we are very pleased to have been voted top voice of customer solution in the 2017 “Top 10 Contact Centre Software and Technology” awards for the second year in a row. Over 1,000 people voted making it the most impartial of all contact centre technology awards. Bright Navigator came 4th overall and were the top ranking Voice of Customer solution. Some of the great feedback from voters can be found on the official awards page HERE. Net Promoter, Net Promoter System, Net Promoter Score and NPS are trademarks of Satmetrix Systems, Inc., Bain & Company, Inc., and Fred Reichheld and are being used under license.